Exclusively Ours! Lead & Nickel Free Earring Assortment Includes Up To Two Different Colors Of Fishhook Wire Earrings. 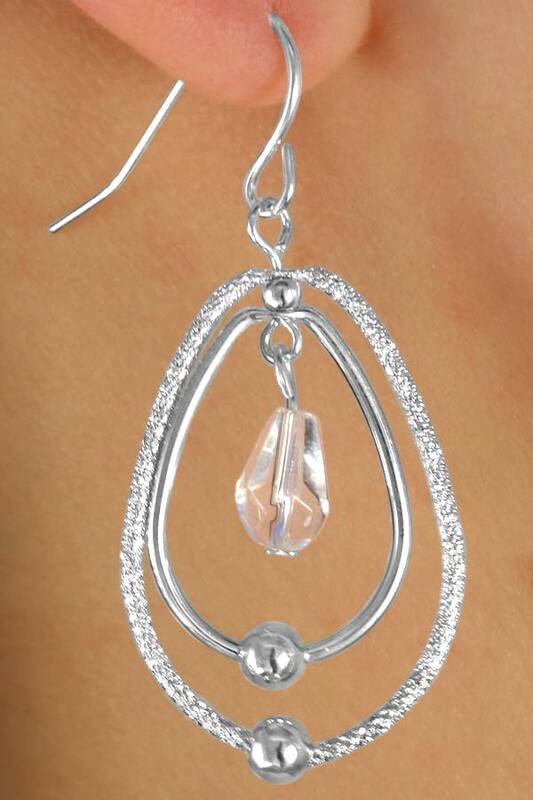 Each Earring Is Created With One Textured Metal Teardrop & One Smooth Silver Tone Metal Teardrop. 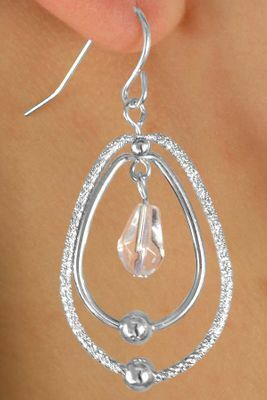 In The Center Hangs Either A Clear Faceted Bead, Or A Black Faceted Bead. Earrings Measure 1 3/4"L x 7/8"W.